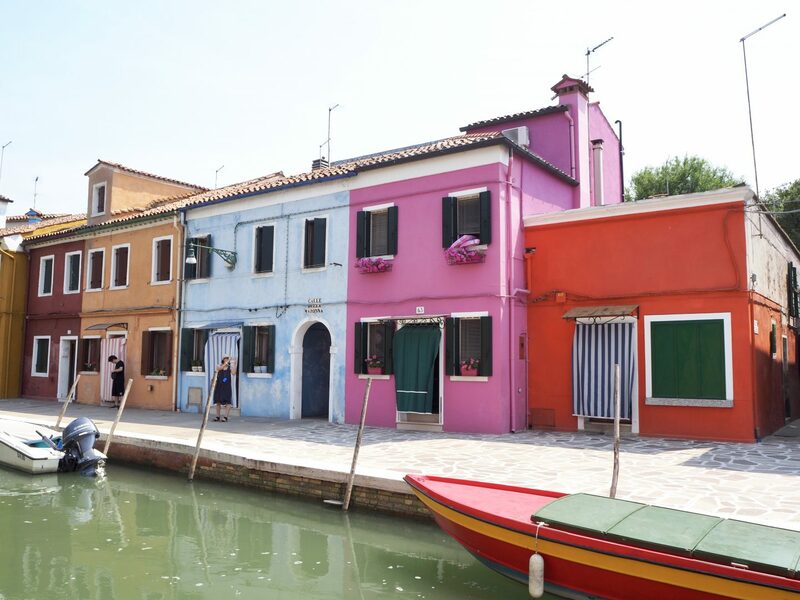 While on holiday in Venice last month we visited the beautiful islands of Murano and Burano. 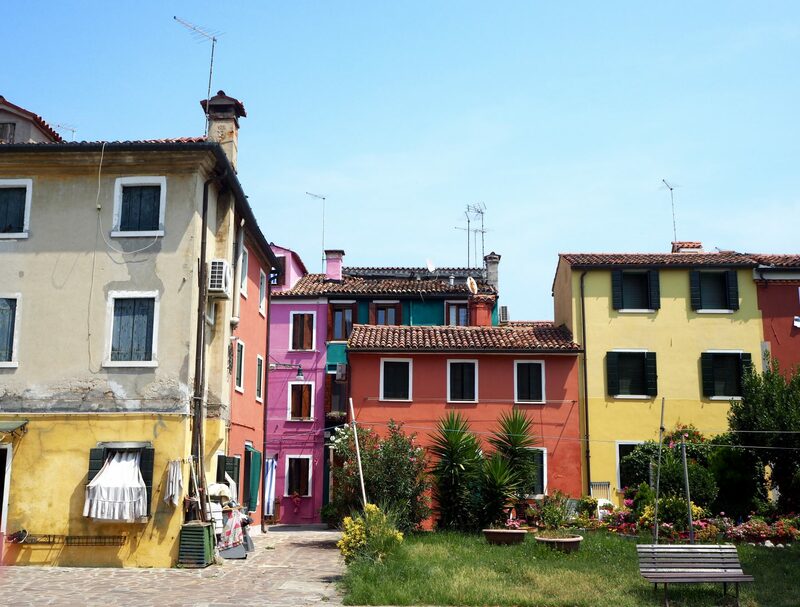 Both islands are located in the Venetian Lagoon and are absolutely beautiful. 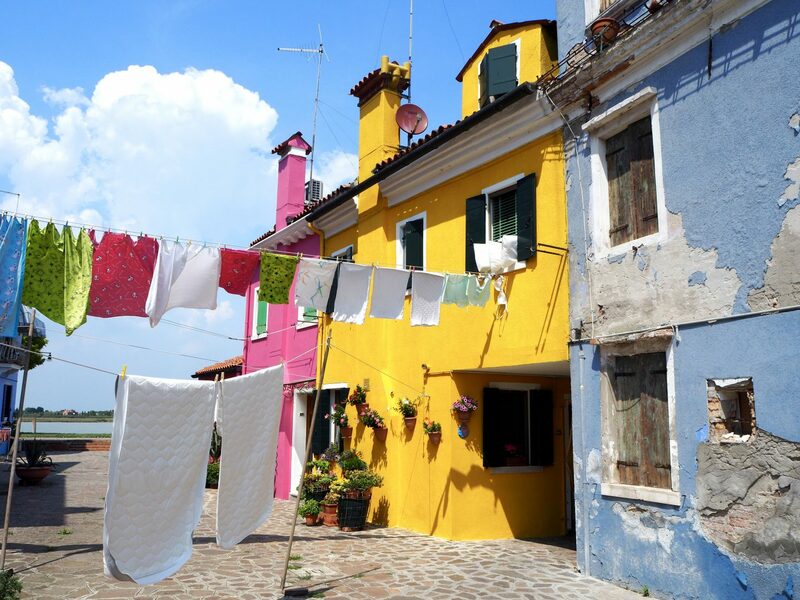 But Burano in particular is amazing with its rows of multi coloured houses. It’s an Instagrammers dream! 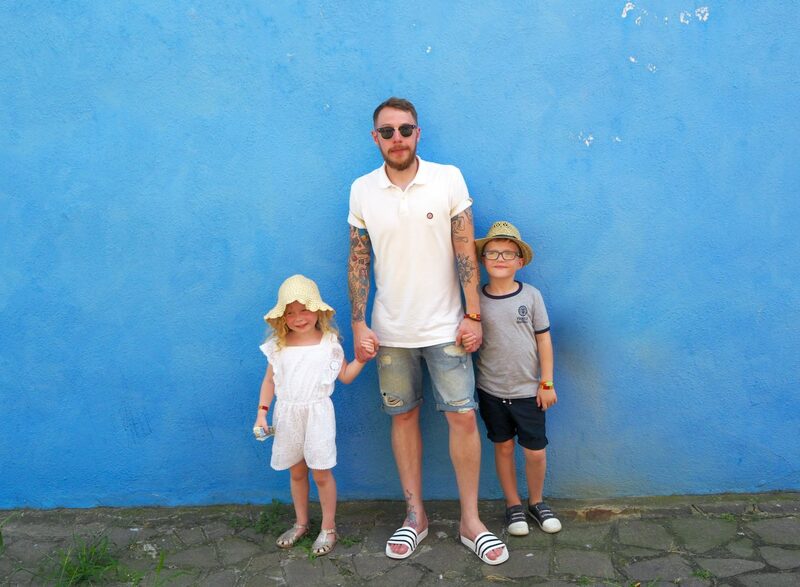 We pre booked a tour of the islands before our holiday via getyourguide.co.uk. 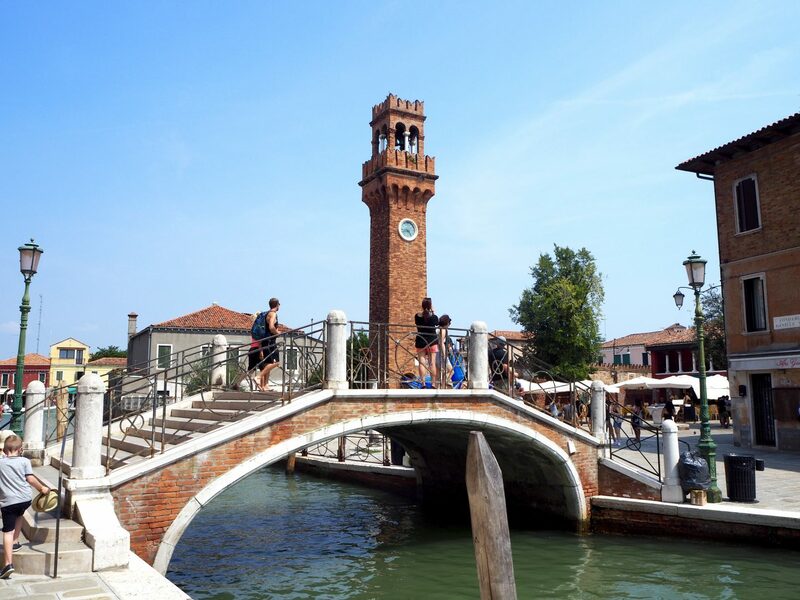 The tour met at Saint Mark’s Square and then went on to the first island – Murano. 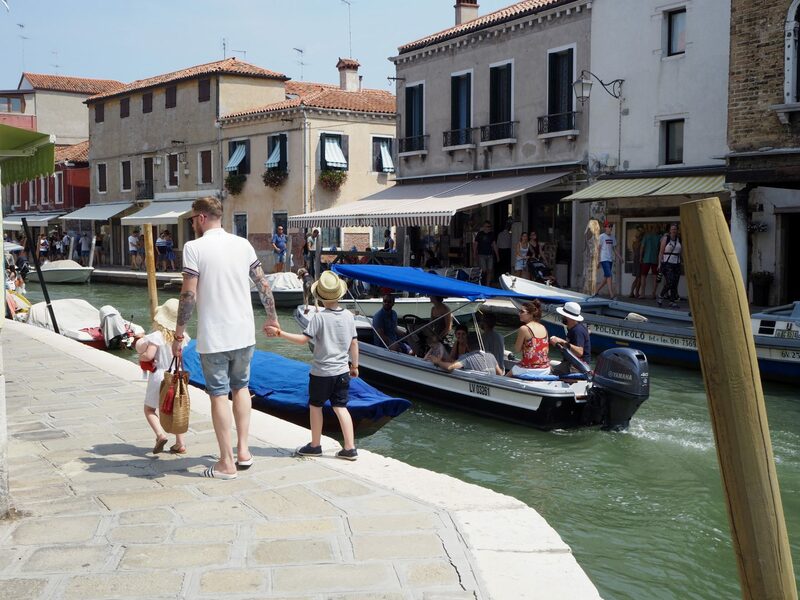 This meant that we had to get a ferry from where we were staying in Punta Sabbioni over to Saint Mark’s Square before even starting the tour. What we hadn’t realised at the time is that there are regular ferries over to the islands anyway, so actually it would have been better for us to just do our own thing, rather than booking a tour. 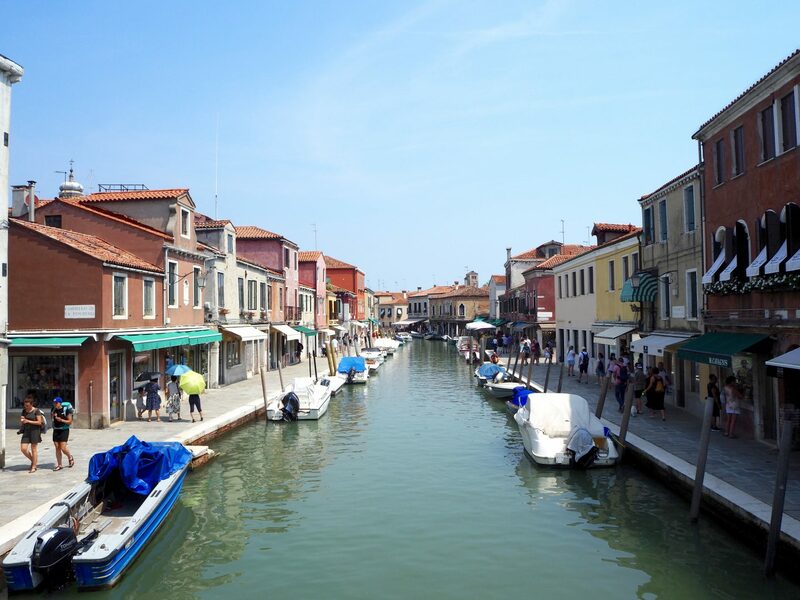 Our first stop on the tour was Murano, which is renowned for its long tradition of glass-making. 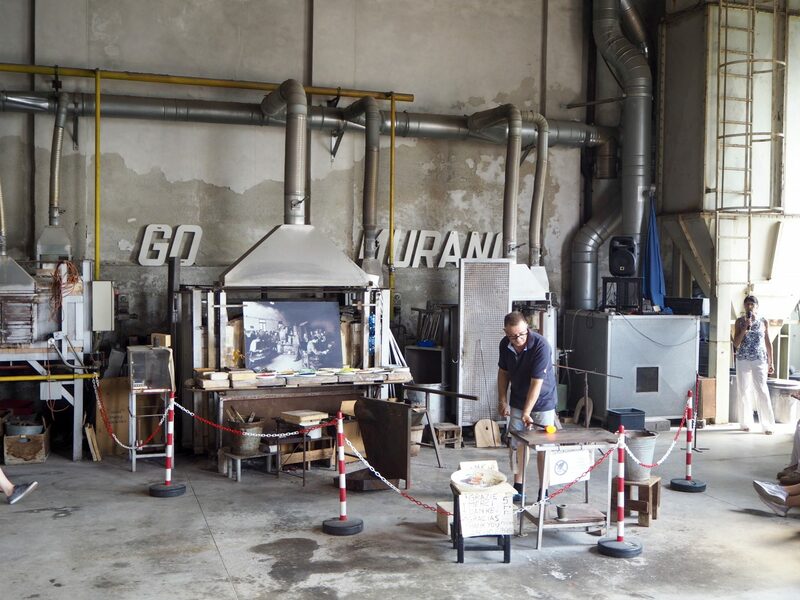 We got to see a glass making demonstration in a Murano glass factory, which the kids really enjoyed. After this we headed off to explore the island. 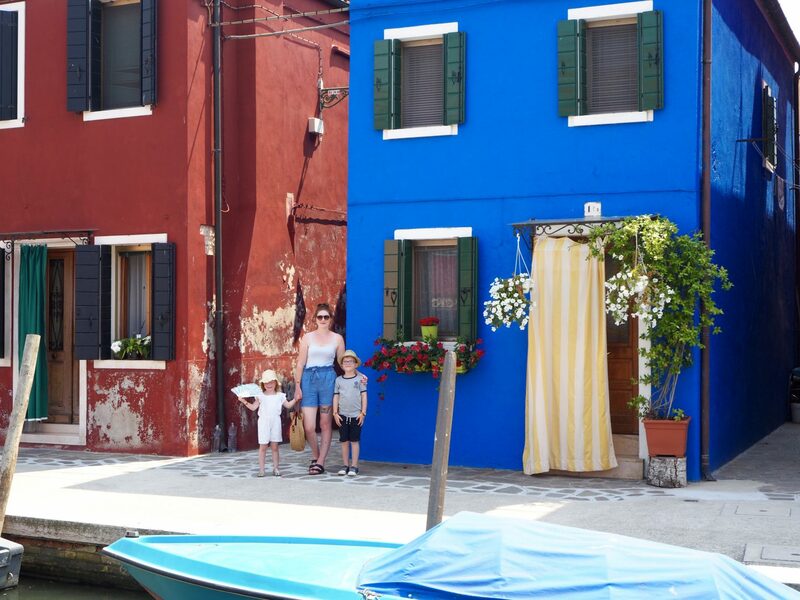 We didn’t have much time on Murano so it was just a quick mooch around before we moved on to Burano. 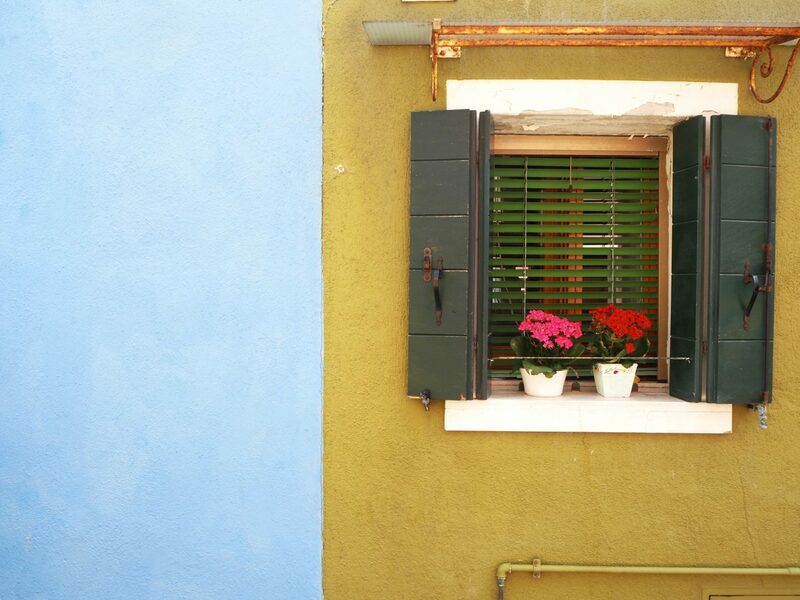 Next up was the island of Burano which was definitely my favourite of the two. When we arrived it was early afternoon which is the hottest time of day so we went straight for lunch to escape the heat for a little while. 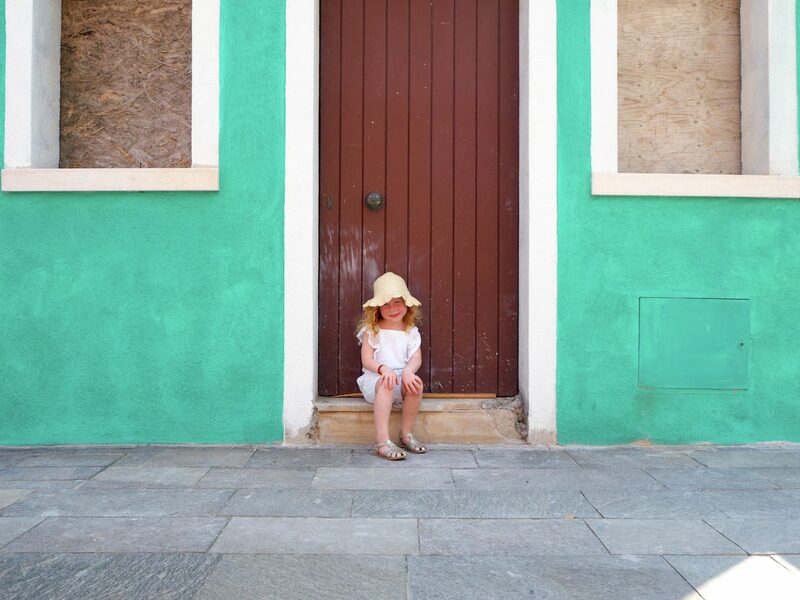 We found a lovely little restaurant and ate pasta and tomato and mozzarella salad, which became a firm favourite of ours while in Italy. 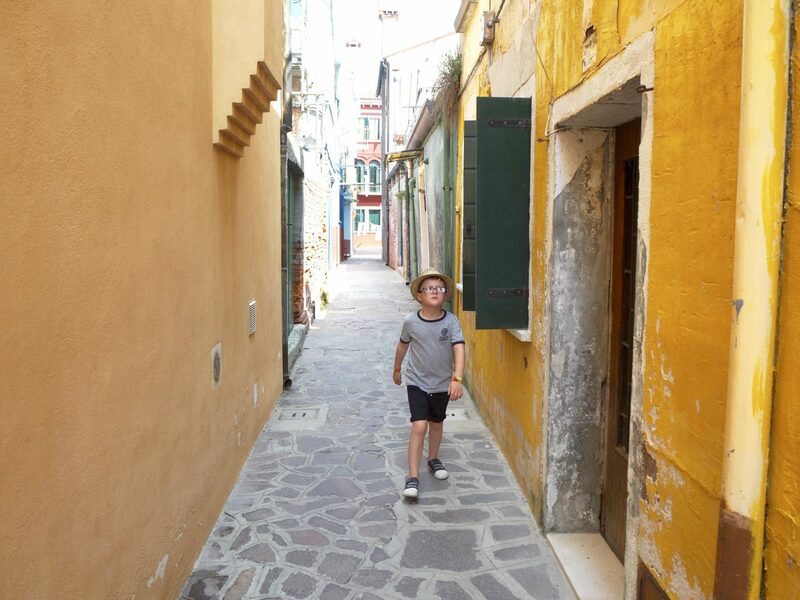 After lunch we set off to explore the island. It was very quiet as it was siesta time and so so HOT! 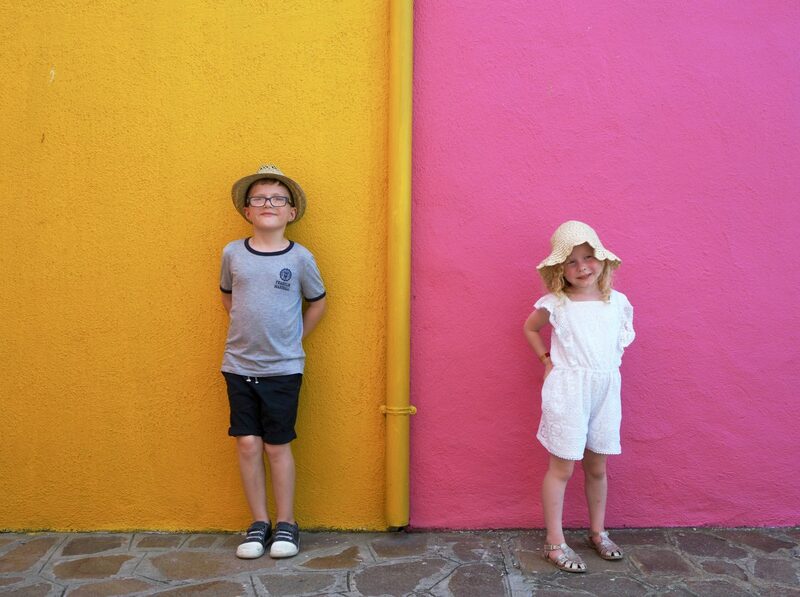 We spent our time there dodging the sun and trying our best to stay in the shade where it was marginally cooler. 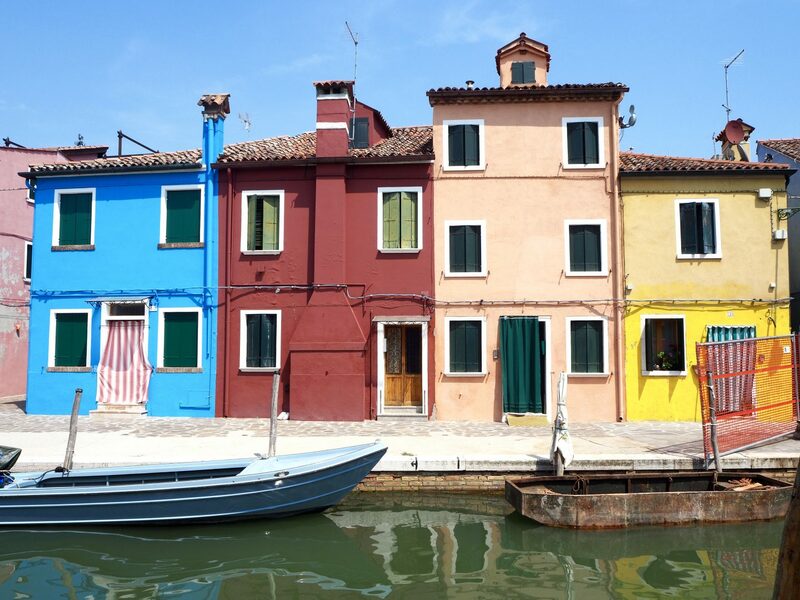 Have you ever visited Murano and Burano?